A beautiful map of Ireland by Frederick De Wit who is acknowledged as a master cartographer. 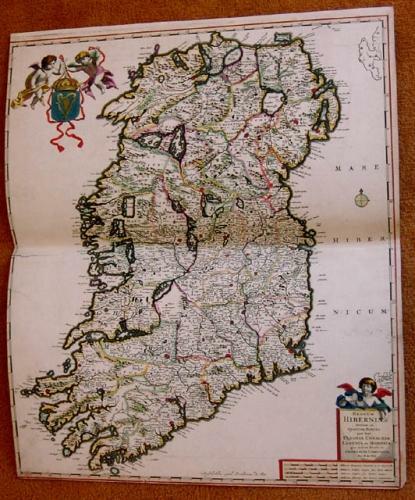 The map is embellished with the Irish coat of arms and a cartouche containing the title and is finely detailed. The map is in very good condition on strong paper and has been cut to the margin baseline on two sides. This should not hinder framing.